It is generally preferable to prepare a print job before launching it. PowerPoint offers modes and parameters to specify what you want to print (slides, pages, or comments) and how you want to print your work (color, gray scale, black and white, with frames, etc..). The Slide Sorter view displays the slides as thumbnails. 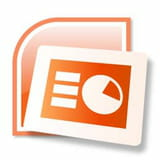 This mode facilitates sorting and organizationof the sequence of your slides for printing. Print preview allows, before printing, to specify settings for what you want to print (documents, pages, comments, plans or slides). Published by deri58. Latest update on December 18, 2012 at 05:30 AM by deri58. This document, titled "PowerPoint - Preparing your print jobs," is available under the Creative Commons license. Any copy, reuse, or modification of the content should be sufficiently credited to CCM (https://ccm.net/).